When we moved into our home two years ago, we were faced with bathrooms that were squarely stuck in early '90s decor. Forest green was the color of choice for the master bath, and though we could strip the wallpaper, changing the tile and fixtures didn't fit our budget. It was amazing how effective a gallon of wall paint and a simple striped shower curtain in soothing aquas and pale greens was in transforming the space. 2. Is the bath your girly escape? 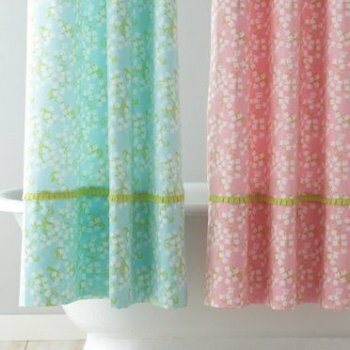 Garnet Hill's Lilly Pulitzer shower curtains have gorgeous feminine details and come in two pretty colorways. 3. 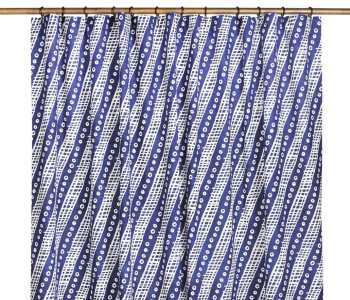 For a little taste of luxury in your bath, take a look at John Robshaw's collection, such as this spotted shower curtain. Made of 100% cotton, John Robshaw's textiles are hand screen printed with designs inspired by his travels to Asia. 4. 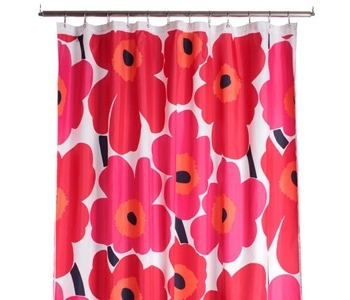 Marimekko's prints -- such as this Unikko shower curtain -- always make me happy...how about you? 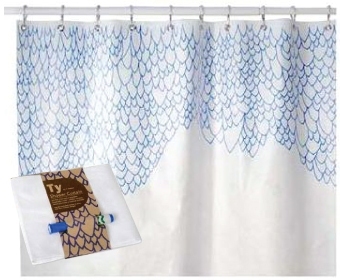 FinnStyle has converted some of the design house's most popular prints into art for your bathroom. 5. It's hard to choose a favorite from the collection at Uncommon Goods, but I love this DIY option that comes with a PVC-free plain white curtain and three solvent-free permanent markers...perfect for a budding artist! 6. If you love a shot of black and white in your decorating, consider this bold and beautiful bird batik print from Urban Outfitters. 7. 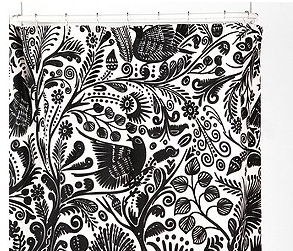 Anthropologie's Smoldering Hues shower curtain says it all, doesn't it? I'd wear red lipstick everyday if I was getting ready in a bathroom with this curtain. 8. 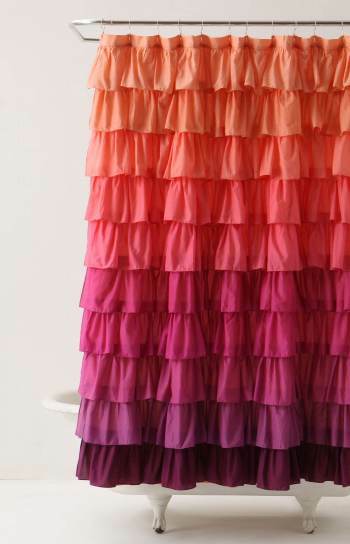 For pop culture lovers who are decorating minimalists, consider a curtain from this Etsy shop. 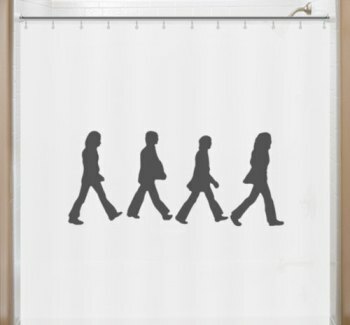 From the Fab Four to the Biebs, the shop specializes in bold black silhouettes on white curtains - such as this Abbey Road curtain. They'll even take special requests.